Havasu Falls lies within the Grand Canyon on the western end, offering the visitor the unique opportunity to see the lovely blue-green waters of these Native American Reservation lands in Arizona. Our Havasu Falls hiking tours feature fantastic hiking, incredible natural and cultural history and big Grand Canyon views. Three types of tours - adaptable to your needs. Come see Havasu Falls as part of our guided day hikes and multi-day backpacking adventures. Join us for the trip of a lifetime. Pgymy Guides invites you to explore the hidden regions of the Grand Canyon, while enjoying the beauty of Arizona , we're never'short on fun! What can I see and do at Havasu Falls Canyon? Havasupai Native American Reservation: Havasu Canyon lies within the Havasupai Reservation, where you can explore the life of these Native Americans and their sacred land. 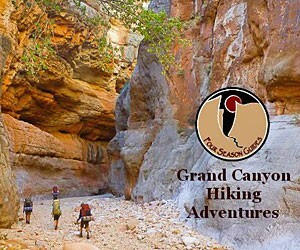 You will see the spectacular scenery in the canyon, the many waterfalls, caves and side canyons. Supai Village: Also within Havasu Falls Canyon is the village where the Havasupai tribe has existed for centuries. Services include a lodge, café, general store, post office and more. 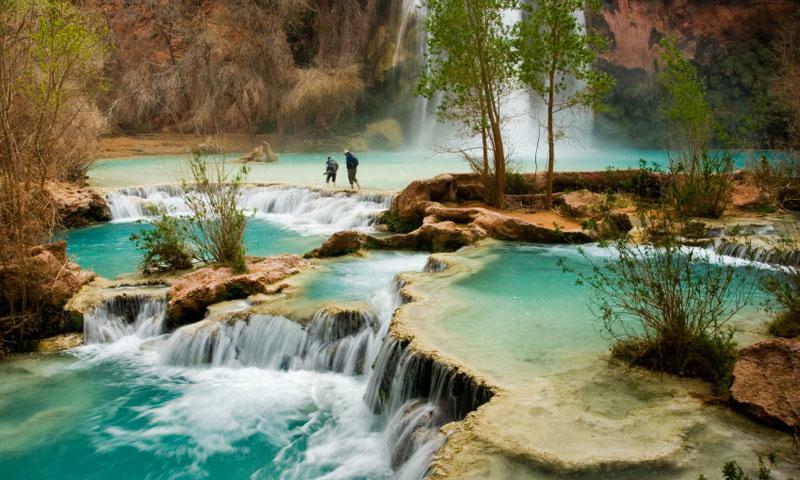 Spectacular Waterfalls and Pools: The Havasupai are and have been known as the people of the blue-green waters. You’ll see why when you hike their land and view the amazing waterfalls flowing 3,000 feet below the rim of the Grand Canyon. Hiking: First you’ll hike from Hualapai Hilltop to Supai Village, a distance of 8 miles. It’s only two miles more to the campground and another few miles to the see all the various waterfalls in the canyon. 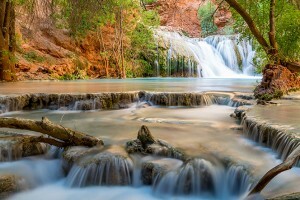 Camping: Camping down in Havasu Falls Canyon offers convenient access to all the lovely sights. Sleeping out under the stars here is a truly unique experience at the tribe-owned campground. Where is Havasu Falls Canyon? Havasu Falls Grand Canyon is located in the western part of Grand Canyon. 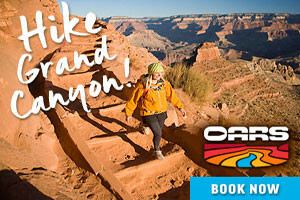 You hike there from Hualapai Hilltop, only 191 miles from Grand Canyon Village. Head south from Grand Canyon to Williams, Arizona and take Interstate 40 West to Seligman, turning on US Highway 66 to Indian Highway 18. When is Havasu Falls Canyon open? Havasu Falls Canyon is accessible all year round. How much does Havasu Falls Canyon cost? To cross the Havasupai Reservation costs a fee of $35 per person (plus 10% tax) and the tribe also charges an Environmental Care fee of $5 per group. You must hold onto your receipt and show it when asked within the boundaries of the reservation. Camping fee is $10 per person. To get more information about Havasupai Falls Grand Canyon you can call the Tourist Office at (928) 448-2121 or Grand Canyon Visitor Information phone at (928) 638-7888.